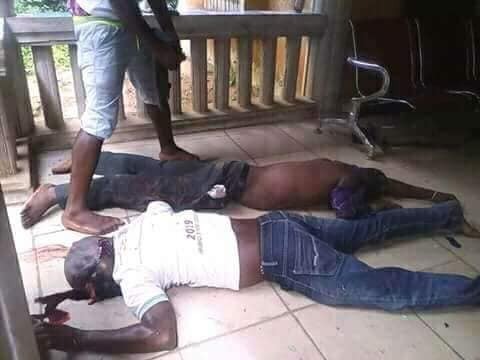 Two persons, one Mr David Udo Okon from Ikot Asen, and Victor Etim Etim from Ikot Nkpene, were allegedly killed by police during fight in Akwa Ibom state. According to an eyewitness account, the sad incident happened on Saturday when Council Secretary, Mr Nseabasi Udoeyo, went to consult the village heads in Ibedu group of villages for his House of Assembly ambition. The consultation which was to be held at Asan Ibedu, met resistance by some youths who told them that it’s only party candidates that are usually received, not aspirants. At that point, there was heated argument ensued between the council secretary (aspirant), the anti-cult police and the youths who were at the venue for routine cleaning exercise. It was further disclosed that the the police attempted to arrest one of the youths who wanted to chase Mr Udoeyo out of the area before the argument turned into a full fight between the anti-cult police and the youths, with two of them shot dead while allegedly trying to fight the policemen. Also destroyed where three cars, a Nissan Jeep, Honda End of Discussion, and a Camry car with other valuables. 0 Response to "Two Men Shot Dead During Fight With Policemen In Akwa Ibom (Graphic Photo)"